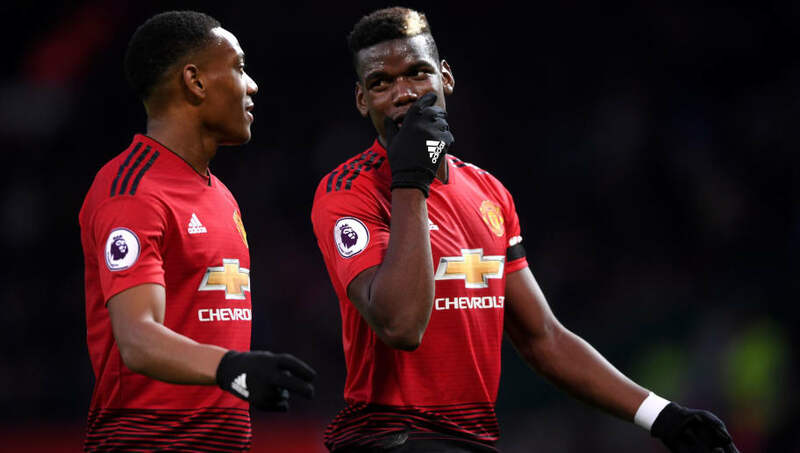 Manchester United stars Paul Pogba and Anthony Martial will join Manchester City's Benjamin Mendy just hours after the derby on Sunday regardless of the result to celebrate a friend's birthday in Paris, according to reports. The three France internationals, who have all been selected in Didier Deschamps' most recent squad, will be facing up against each other during Sunday's late kick-off at the Etihad for the first Manchester derby of the season. ESPN have reported that the wheels are already in motion for the players to take a private jet to Paris just hours after the match so they can celebrate the birthday of a mutual friend. The three compatriots are already known to meet up regularly throughout the season, as many opposition players do when they first move to a new city. Pogba and Mendy have even more of a reason to meet up away from the football pitch as they both grew up in the academy at French side Le Havre before the Manchester United midfielder left the club for Old Trafford in 2009. Just seen someone comment on a United page "De Gea, Pogba and Martial all walk into City's Team." Mendy would leave Le Havre four years later, joining Olympique de Marseille before eventually moving on to AS Monaco in 2016. Manchester City will be looking to move 12 points clear of their rivals with a home win this weekend, while failing to beat José Mourinho's side could see both Chelsea and Liverpool move level on points at the top of the league table. Manchester United, meanwhile, are at risk of dropping even further down the table this weekend. Both Watford and Everton could leapfrog the Red Devils with wins in their matches against Southampton and Chelsea respectively. However, Mourinho's side will be full of confidence following their outstanding win over Juventus in the Champions League. United fought back from one goal behind to eventually win the game 2-1 in Turin.